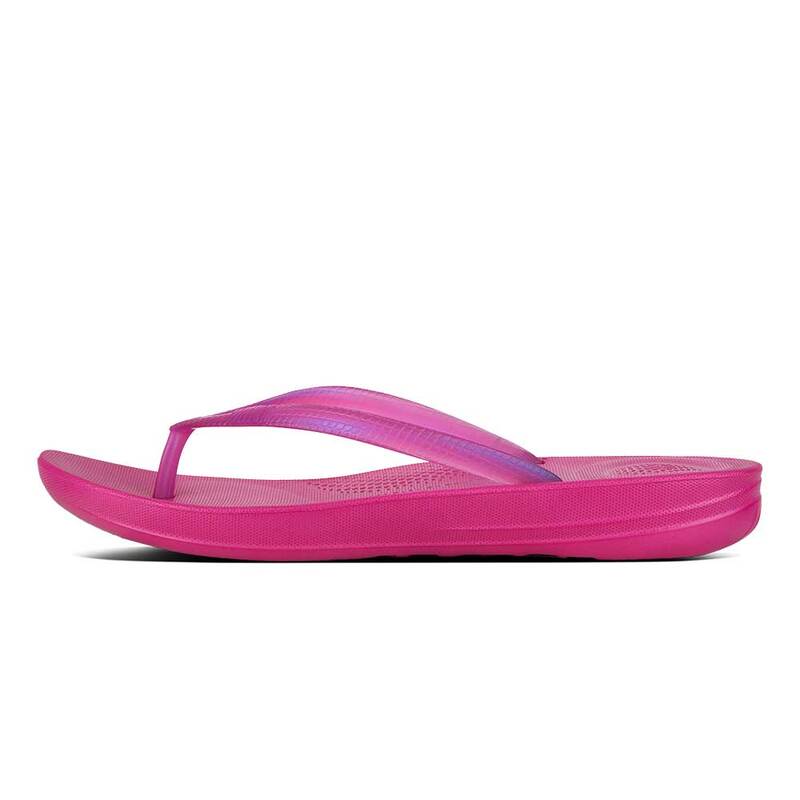 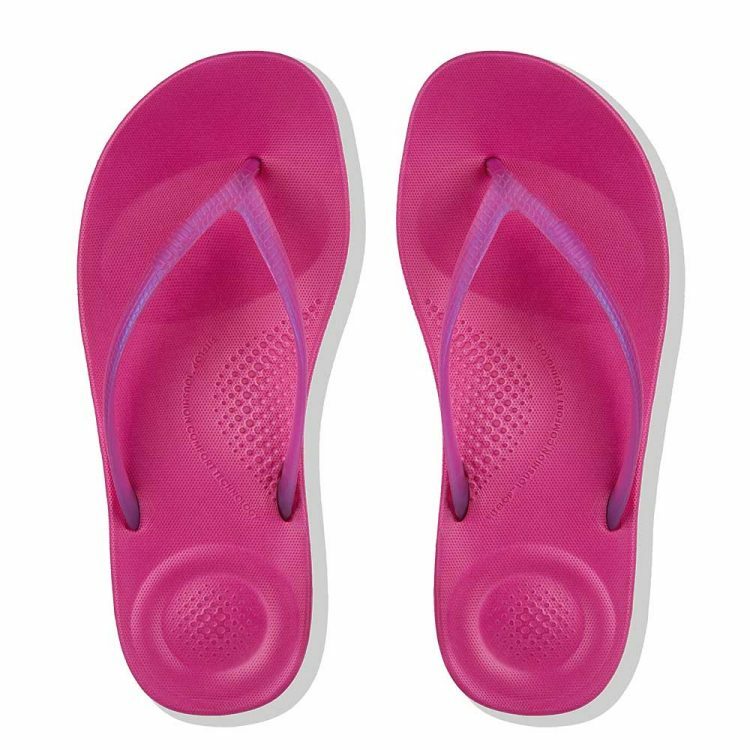 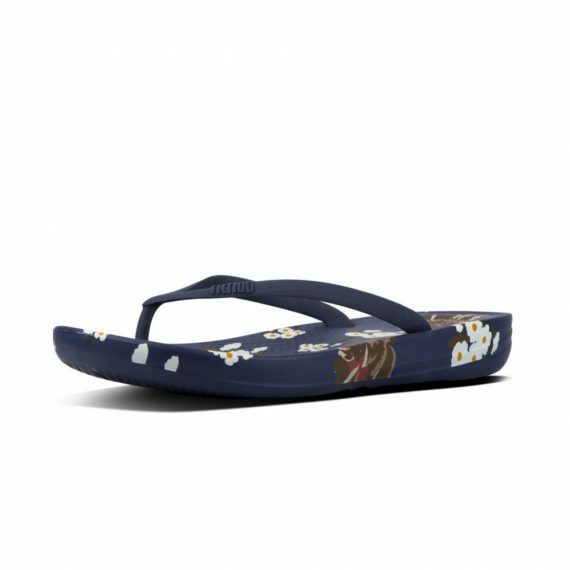 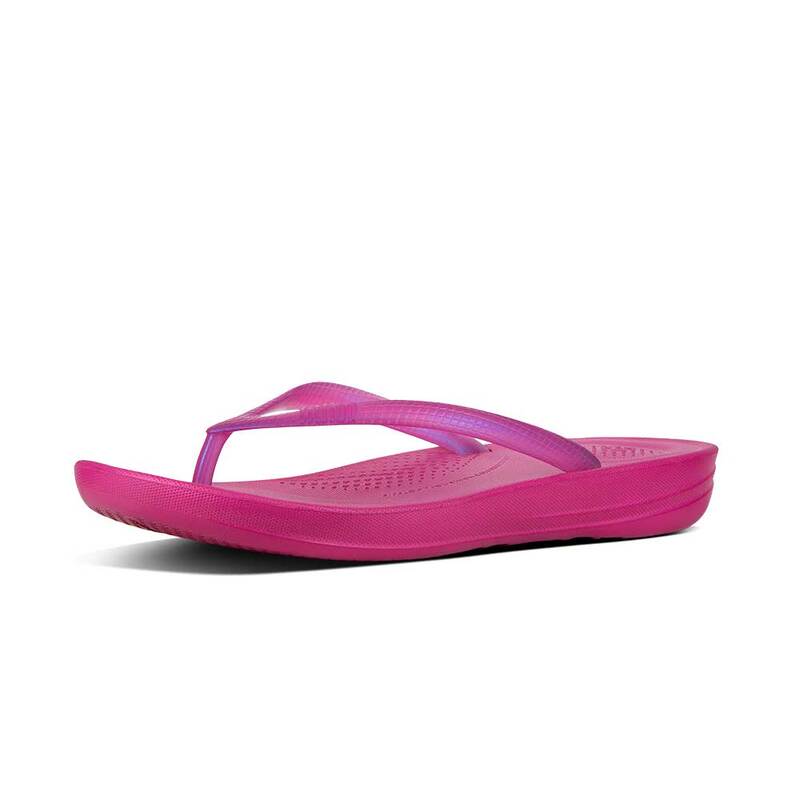 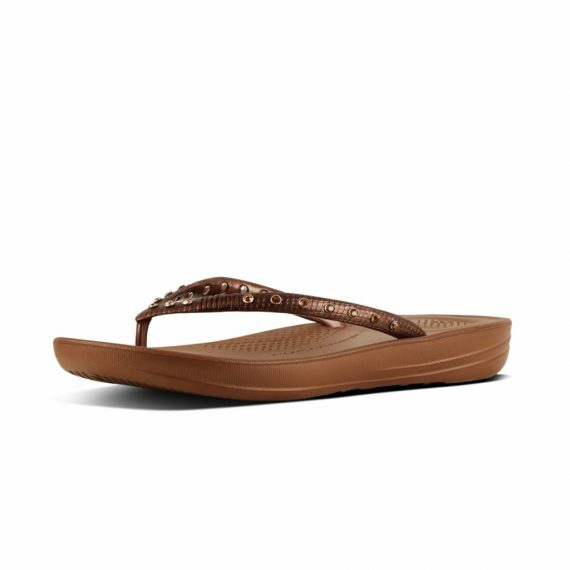 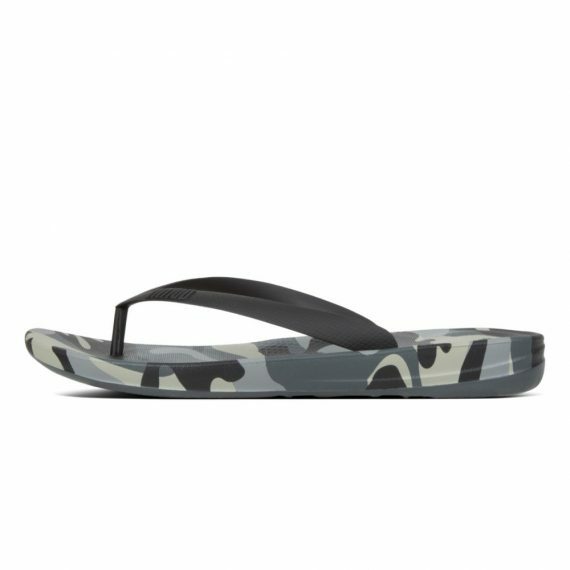 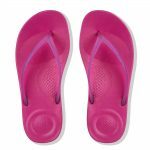 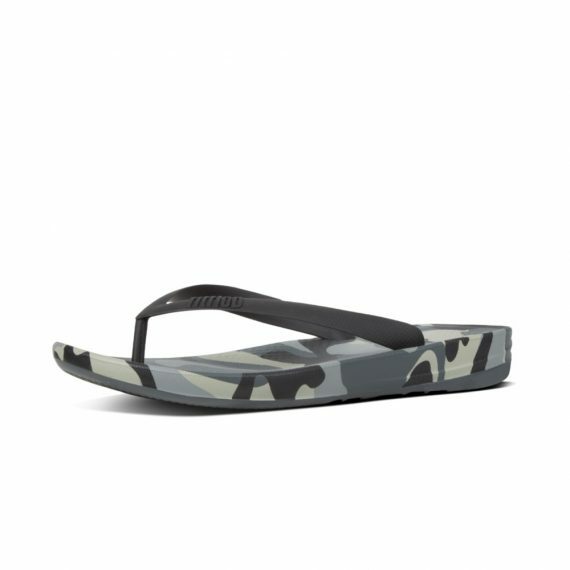 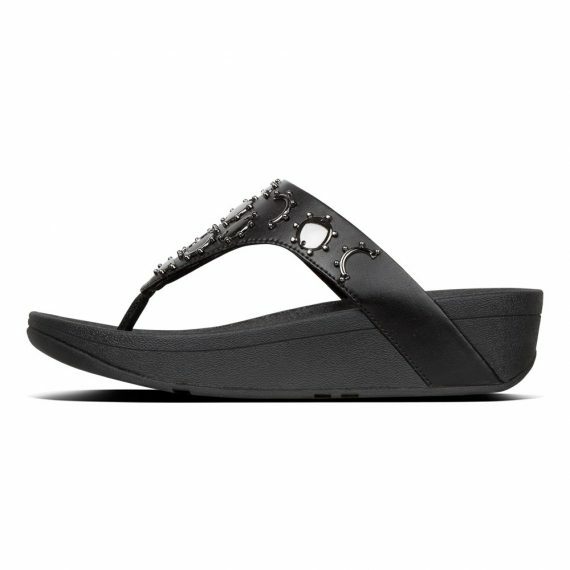 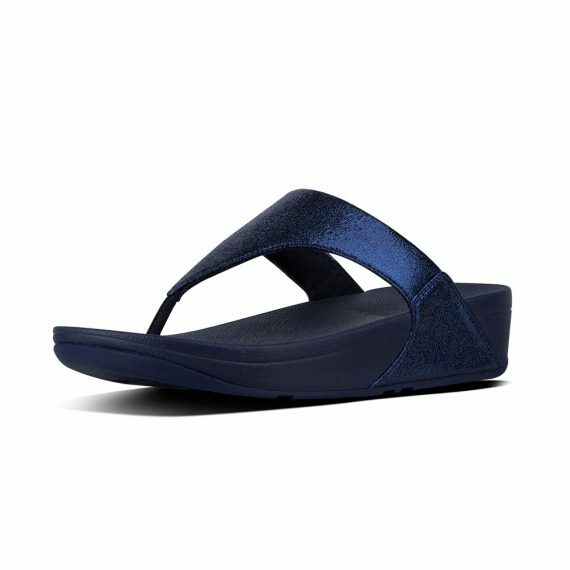 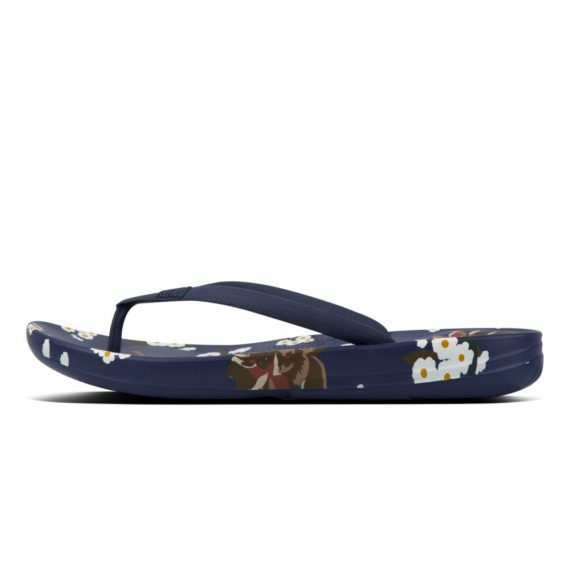 A supercute slide version of FitFlop’s best-selling surfer-girl flip flops. 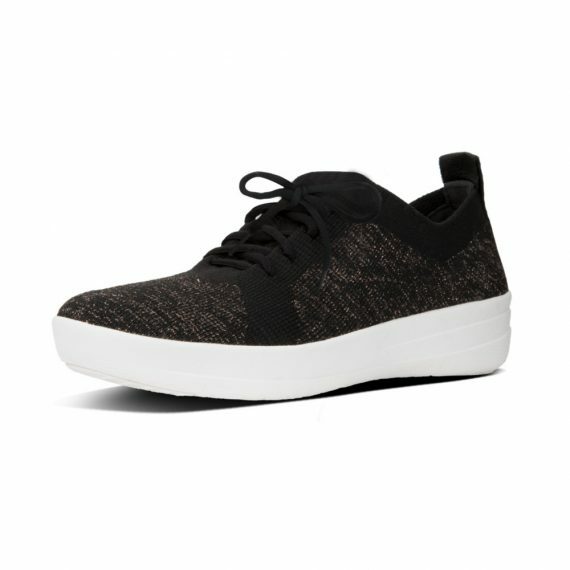 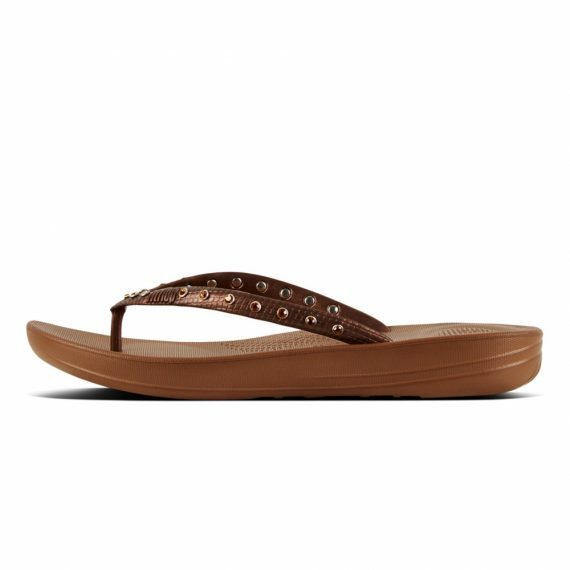 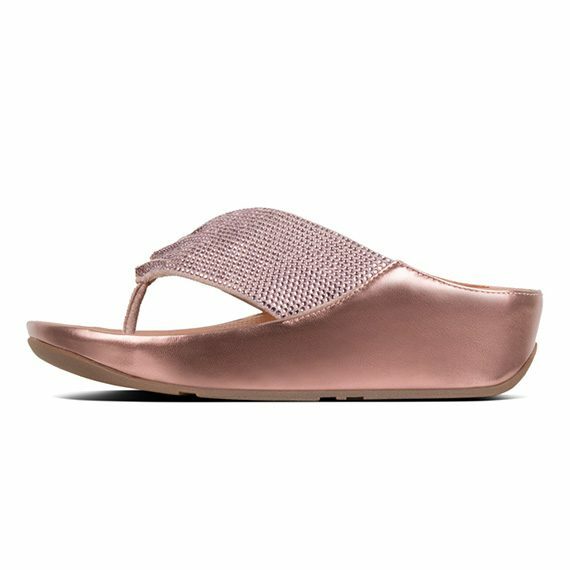 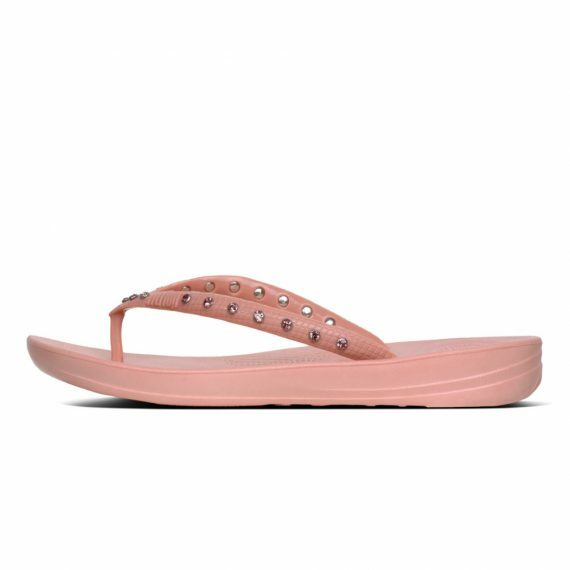 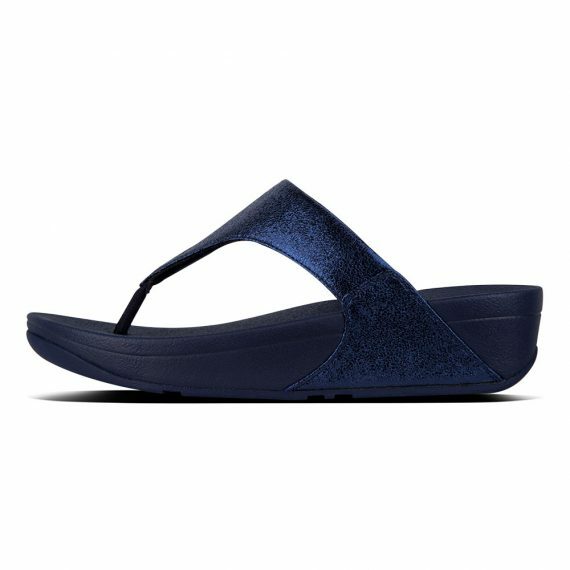 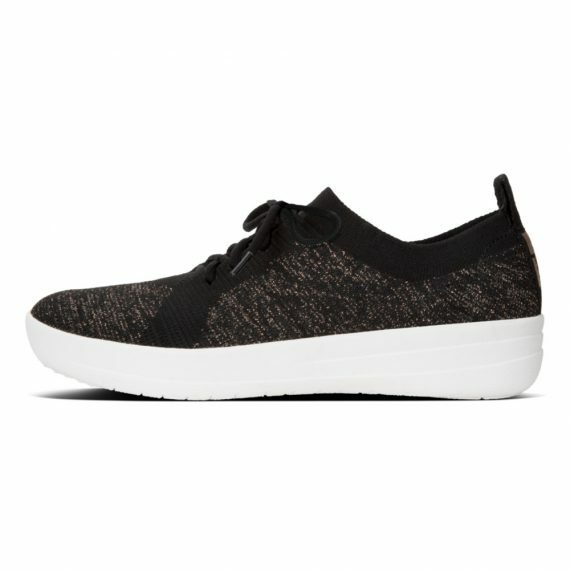 Where ordinary beach-proof sandals are flat slabs of rubber, slip these on and you’ll instantly feel FitFlop’s iQushion™ tech get to work – featherlight, ergonomically shaped air-foam cushioning for amazing walk-all-day comfort. 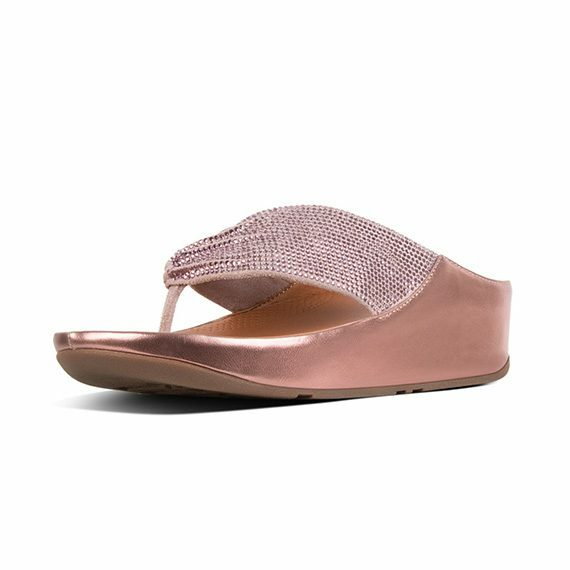 With fine, flattering cross straps, and here in a pearlised finish, these are perfect for summer in the city and a ‘must pack’ if you’re headed for a beach.